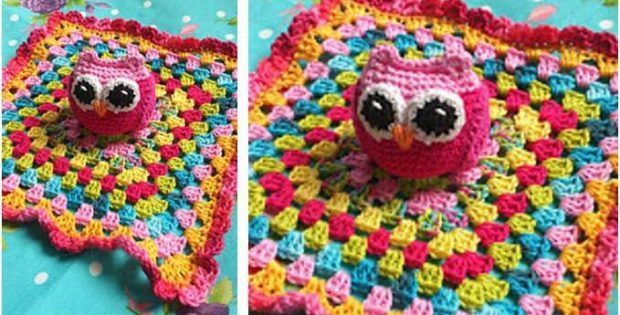 You will definitely enjoy making this charming and colorful crocheted owl baby blanket! Its super cute design will make it baby’s instant favorite. Make one for your kid or give as a gift. It makes for a great baby shower present. In fact, this pattern is an ideal project for confident beginners and intermediate crocheters. They’ll surely have fun creating this rewarding crocheted piece. This charming crocheted owl baby blanket is a design by Lola Is Hooked. You can access the FREE pattern for this adorable crocheted owl baby blanket from her website. To access the FREE pattern for this cute and colorful baby blanket, please click on this link: Owl Baby Blanket Pattern. This pattern contains instructions in both English and Dutch. You will need to scroll down to get to the English version of this pattern! Featured image: Lola ls Hooked – thank you!